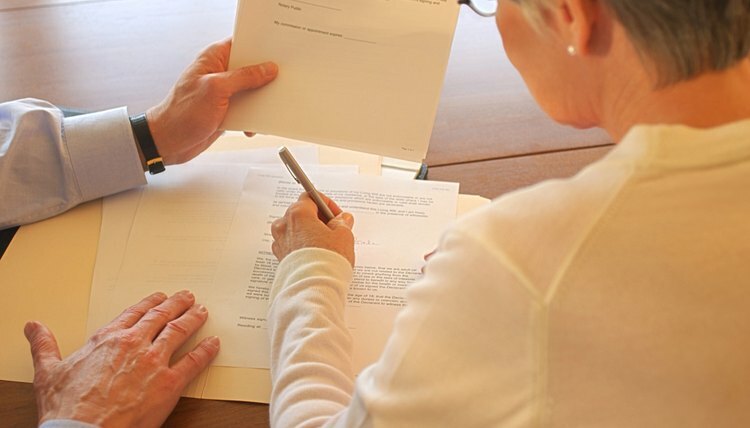 If a couple can agree on the major terms of their divorce, a properly drafted settlement agreement can help avoid much of the uncertainty involved when a judge decides these matters. Settlement agreements cover issues related to property, spousal support, custody and child support. Provided the agreement promotes the welfare of any children and is not grossly unfair to one spouse, it will likely become part of the final divorce decree. A settlement agreement should address how marital property will be divided after divorce. In order to effectively resolve this portion of the divorce process and ensure your case avoids trial, the more details that can be incorporated into the document, the better. Assets that need to be addressed include personal property, real property, automobiles, investment and bank accounts, and retirement plans. Similarly, you and your spouse may specify how marital debt should be allocated. This goes hand-in-hand with property division, particularly for any assets encumbered by a loan. For example, if the parties own a home with an outstanding mortgage, the spouse awarded the home would receive both an asset and a debt. You may also incorporate a provision for alimony, sometimes referred to as spousal support, into your settlement agreement. This type of support is rarely mandatory as part of a divorce, and is generally at the discretion of the trial judge after considering several factors outlined by state law. However, a court will typically accept either a waiver of support or any support amount that the parties agree to in the settlement agreement. To avoid confusion, you should specify the frequency and duration of any support payments. If a couple has minor children, custody issues should be addressed as part of the settlement agreement. Two major aspects of custody need to be covered, legal custody and physical custody. Legal custody refers to the ability to make major decisions regarding the child, including those related to education, health care and religion. Physical custody refers to where the child stays overnight. Both types of custody can either be shared or held solely by one parent, and the agreement will specify how parenting time will be divided. This will require a scheduling provision regarding holidays and vacation days, as well as visitation if one party is awarded primary custody. A judge will generally approve these types of agreements so long as they are in the best interest of the child. If the agreement is found not to be in the child's best interest, custody will be determined by the judge. When it comes to child support, each state has established guidelines for determining a minimum support amount. This figure is often based on either a flat percentage of the noncustodial parent's income or a portion of the total household income. Because these calculations are presumed to be the correct amount of support, a judge is likely to deny any agreement reached by the parties that provides for an amount less than the guidelines. For this reason, it is important for parents to first complete a child support calculation worksheet applicable to their state before coming to an agreement on child support.